Pregnancy is something that is pretty hard to put into words. Everyone has an idea of what it means, how your life will change and how this is a miracle. After all, it's new life. I'm your average 23 year old, healthy, positive and with absolute no doubt in my mind that I will be the best mum I possibly can be. What happens when you get the devastating call that your little baby you've been carrying for so far 12 weeks has potentially a life threatening or life debilitating disability? Your heart and soul literally sinks at the thought. I'm healthy and I'm YOUNG. 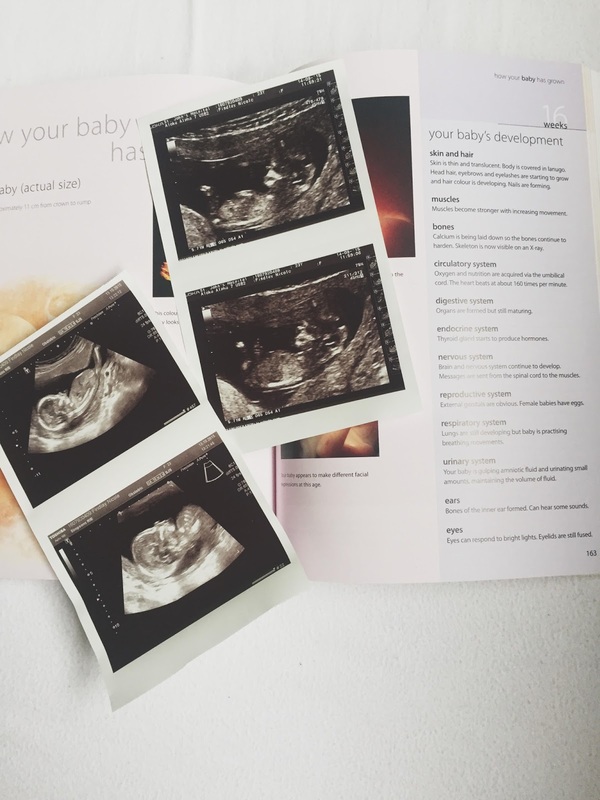 Nothing prepares you for the pain the next few weeks bring..
Like many women in the 1st trimester we burst with excitement at the thought of going to our 12 week scan. If you find out early like I did then it can be a very very long wait to the 12 week mark. 12 weeks means its near the end of the 1st trimester and your chances of miscarriage significantly drop. Which means for a lot of mums and dads to be, they can finally announce this to the world. That means family, friends, everyone at work and of course Facebook. My scan approached and I was really excited. I had already seen the baby on a private scan at 7 weeks and there was a very clear heartbeat which was good news. The 12 week scan went totally fine and the ultrasound consultant was pleased to show us the baby was super active and it was so incredible to see. After the scan I went to the nurse for a blood test which I agreed to. The blood test was to rule out any abnormalities in the babies chromosomes. To be honest I didn't pay much attention to what she was saying but she did say when the results are back from the test I should receive a letter within 3 weeks and if any problems a phone call after a week. No worries and off I went to properly get excited about the baby. It didn't even cross my mind that something could be wrong. 3 days went by and I think everyone had started to get excited. My nearest and dearest knew and that's all that mattered at this point. It was mid afternoon and I was half way through doing a set of nails at work when my phone rang. It just so happened to be sitting on my desk because I was trying to win some stupid radio competition and actually thought it might have been them phoning. It was a colleagues nails so she didn't mind I took the call and ran into the kitchen. I didn't recognise the voice.. It was a senior midwife calling from a specialist centre at the Royal infirmary in Edinburgh. She asked if I was aware of the test I had carried out 3 days previous and if I understood what those tests meant. I said yes because I had agreed to them through my midwife.. but my heart sunk like nothing I have ever felt before. The sudden realisation of why she was calling was too much for me to handle. She explained that I had been put into a High Risk category for having a baby with a chromosomal abnormalitie. The 20 minute phone conversation to follow was nothing but a blur to me. I had no idea what she was talking about, what it meant to me or what this meant going forward for the baby. She explained all my options but I just couldn't take it in. I was crying so much at this point I know it was the shock that started to take over. I scribbled down some key words she was telling me like her name and number. Depending on what I wanted to do I was given the option to phone them back in 4 days time when they re opened to discuss further. In a panic I phoned my mum and my boyfriend and I knew I wasn't making any sense. I left work shortly after and just went into a complete state of numbness. The really strange thing was I just didn't feel pregnant anymore, not even one single bit. In fact I didn't feel anything and over the next four days was a process of trying to understand what I had just been asked to face. For some people being told your baby might have Downs Syndrome (a chromosone disorder you might be more fimiliar with) this wouldn't matter and choose not to have any further testing but this is also a risk for Edwards Syndrome (babies who survive birth around half will die within 2 weeks) and Pateu's Syndrome (babies don't survive for more than a few days). Also if the test came back positive for any of the above they couldn't tell me how severe it would be so theres a chance they would have 0 quality of life. Once I had let the information sink in - I knew I had to get the further testing. The longest 4 days of my life went by and I finally had a chance to phone them back. After researching for days what my options were and reading other stories about people in my position I had made a decision. I had decided to go with the Amniocentesis. This involves a large needle being put into your stomach to take a sample of amniotic fluid from around the baby. The process is done whilst being guided by an ultrasound to make sure the baby doesn't come too close to the needle. You can have this test starting at 16 weeks and it seemed like a no brainer. There was another test called CVS that can be done earlier but I want my baby to have a chance and with being a few weeks bigger might be all it takes. The problem I have is this testing is invasive and carries a risk of miscarriage. Even if the baby is healthy you can still end up going into early labour which is horrendous of course because if the baby arrived at 17 weeks they wouldn't survive. I could loose the baby as a result of me going ahead with the test. The news, the test, the wait on the results and the never ending fear of miscarriage. There was no doubt though. I needed to do the test. I had to find out for myself, my partner and our baby. The test was booked for 3 weeks time and it was then 3-5 working days from then to find out the results. From reports and blogs I studied online, I knew I was in for a rough few weeks. Your life literally goes on hold. All your worries about finding the perfect place to live, saving money, making sure everyones ok with the news, will it be a boy or a girl, can I cope with all these changes - suddenly don't matter. I couldn't care less about any of the above other than our baby being healthy. After talks with my doctor I decided to take some time off until after the test and results. I didn't want to be speaking to people day in day out, I didn't want people to ask me how I was, I didn't want to have to smile at anyone when all I wanted to do was sit. I wanted to sit and let myself feel what I was feeling. If I have learned anything from my therapist is don't run away from what you feel or what your dealing with. If that means drowning in your feelings until the next day then so be it but it will allow you to handle things going forward. I'm 10 days into these 4 weeks and it's been the longest 10 days of my life. I wasn't sure if I was ready or able to write anything but I knew I didn't need to post anything straight away. I know theres so many more people going through the same thing and there's defiantly a comfort in reading other people's stories when your faced with the scary weeks to come. I know for some people going ahead with an Amniocentesis is a no brainer and if anything it's a normal part of going through pregnancy. Some other people I've spoken to have said their would be no way they would go for a test like that. In my eyes I had to make a pretty quick decision which could have changed the coming months forever. I done what was right for us and thats the most important thing. Others might ask why share something so personal online? Well as soon as I found out I went online to read other peoples stories to help me understand what was happening and what I was faced with. To be honest reading other peoples stories was the only thing that helped and knowing that someone else was saying it was tough did make me feel better. In part 2 I'll talk about going through the actual Amniocentesis and coming out the other end which will be posted soon..
You're so brave going through this and sharing your story. I'm currently 23 weeks pregnant with a low risk pregnancy but they've found that baby has a duplex kidney, which is a little bit nerve wracking for us.